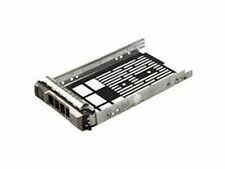 HP SFF 2.5" Hard Drive Tray Caddy 371593-001 DL380 DL360 G5 SATA/SAS HDD. (E.g. you brought wrong size or wrong item). compatibilities：. USED, STILL IN GREAT CONDITION. DL360p Gen8. DL380p Gen8. DL160 Gen8. 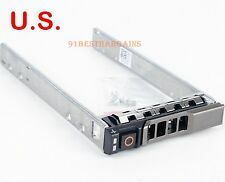 HP Proliant Gen8 servers BL420c Gen8. BL460c Gen8. BL465c Gen8. BL660c Gen8. Excellent condition pulled from decommissioned HP DL580 G5. Includes screws. ML350e Gen8. DL360p Gen8. DL380p Gen8. DL160 Gen8. HP BladeSystem. HP ProLiant DL servers HP ProLiant ML servers Duty Rate is vary subject to differe nt countries' re gulation. 0G302D, G302D, 0F238F, F238F, 0X968D, X968D. 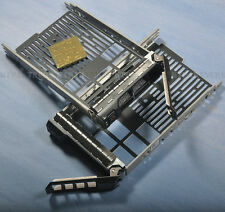 Dell 3.5 SAS Tray Caddy Sled G302D F238F R710 T610 T710. Poweredge R810,R720,R710,R610,R515,R510,R415,R410,R310,R210;T710,T610,T410,T310. Works with the following PowerEdge server. 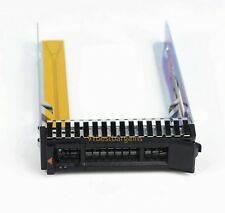 With this adapter, you can install a 2.5" SATA/SAS/SSD drive in the 3.5" F238F ( x7k8w F238F KG1CH ) tray.This is the adapter only. 0F238F, F238F, 0X968D, X968D, 0G302D, G302D, KG1CH, 0KG1CH X7K8W. 09W8C4, 9W8C4, 0Y004G, Y004G. 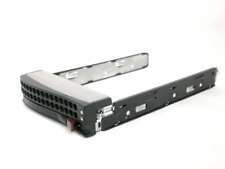 SAS SATA 2.5" Hard Drive Tray For Cisco Ucs C220 C240 C460. KNOWN MODELS: CISCO UCS SERVERS C240 C220 C460 M2/M3/M4. Manufacturer: Cisco. 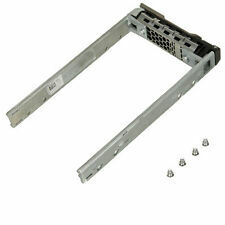 INCLUDES: 4X DRIVE MOUNTING SCREWS. NOTE: THIS IS SAMPLE PICTURE ONLY. 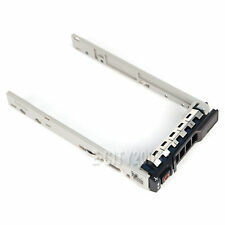 Works with the following Part Number: Dell 3.5" F238F/F9541/G302D / X968D. 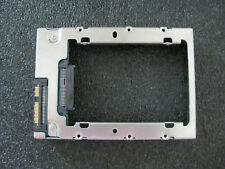 2.5"adapter for Dell 3.5" F238F SAS/SATA Tray/Caddy with screws Enables a 2.5" hard drive to be mounted in a 3.5" caddy, which can then be inserted into a server with a 3.5" backplane Note: Adapter Bracket Only, 3.5" Hard Drive Tray is NOT included! They say 1.0TB on the face plate and are like new. Four 3.5" HDD mounting screws will be included with each unit. SOLD AS IS. Dell P/N: G176J 0G176J. 1 x G176J with 4 Mounting Screws. PowerEdge R610 R620 R630. PowerEdge R320, R420, R520, R720, R720xd. 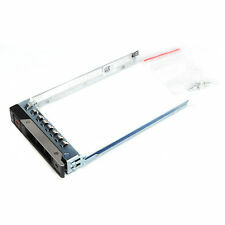 NEW 100% Dell 2.5" SATA SAS Tray Caddy. We work directly with OEM Dell plant,Provide a large number of quality Dell Tray caddy. Part Number L3-25232-04B / 500605B. LSI - SATA to SAS Interposer Board 3.5" Hard Drive Adapter. This is a SATA to SAS Adapter. 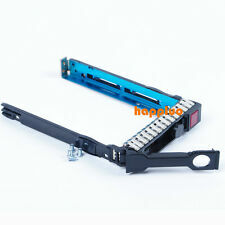 (FITS SATA 3.5" Hard Drives) . (See Pictures). However, for 2.5" SAS drives, this adapter will change dual port to single port. 1 2.5" to 3.5" SATA SSD HDD Adapter (654540-001). 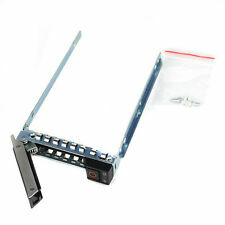 This adapter is compatible with all the 3.5" SAS/SATA drive caddie trays from HP, Dell, IBM, or other manufacturers. To Fit3.5" Drive. Part NumberASM-00656-01-A. ConditionLike New. Product Specifications. DRIVE(S )HAVE BEEN TECHNICIAN TESTED FOR ERRORS, WIPED AND FORMATTED . Your Dell Server require 3.5" KG1CH Caddy, but you have 2.5" Hard Drive, So you need our this converter to change your 3.5" Caddy to 2.5" Caddy. 0F238F, F238F, 0X968D, X968D, 0G302D, G302D F9541 MF666 H9122 651314-001 651320-001 373211-001 373211-002 KG1CH.